Has Your Henderson Business Been Affected by Water Damage? When your business springs a leak or is overrun by water it can costs you hundreds of thousands of dollars in damages. Depending on the severity of the situation your business may have to close its doors and that could cost you potential leads and sales. Whether it’s overseeing the commercial water damage cleanup in Henderson, sending employees home, losing equipment to water damage or vital record being destroyed, water damage in Henderson will inevitably cause your business to a hit. ERX has some strategies you can utilize to minimize damage and potential prevent Henderson water damage disasters from occurring. Appliances are a common source of water damage. That includes the water heater, washing machines, dishwashers, air conditioning units and refrigerators. As your appliances age they can rust, increasing the possibility of leaking. Water supply hoses and seals can wear down and produce water leaks as well. Clogs and stoppages happen in plumbing systems all of the time. If clogs are severe enough they will result in overflowing toilets, sinks and washing units. Sewer lines can also be damaged by growing tree roots. Low temperatures in the winter can also cause pipes to freeze and burst. 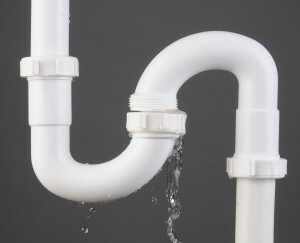 Cracked pipes can result in a water leak of up to 250 on a daily basis. A roof that has deteriorated, has missing materials or is damage can lead to water leaks in the ceiling. Inadequate attic insulation and ventilation can speed up a roof’s decay and cause to the formation of ice dams. Exposure to ice, snow, wind, rain, and foot traffic can also affect a roof’s ability to keep water out. If your business is suffering from commercial water damage in Henderson call ERX today! Our trained specialists are standing by ready to help you get your business back on track as quickly and painlessly as possible. Trust the professionals with your water damage cleanup in Henderson.